The most current topical issues relating to licensed bingo are generally covered on this site through News Items and Press Releases. 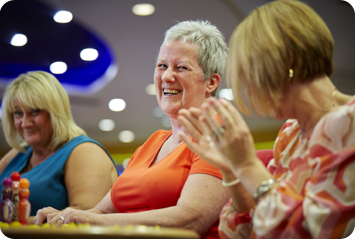 If your enquiry if not covered by information already available, or you would like to discuss a media opportunity, or seek a quote, or spokesperson, please contact us by email at info@bingo-association.co.uk. Please state clearly the nature of your enquiry, any particular requests, the deadlines you are working to and a telephone number where you can be reached. We will acknowldge your enquiry and respond as quickly as possible. If your enquiry is urgent please telephone the main office on 01582 860921. We have a wide range of contacts throughout the industry and will aim to meet your request either directly or via Association Members.